Misquoted Identities Revealed in Rock N Roll Family..
Zee's Rock N Roll Family which is based on a unique show finds itself in crossroads as two families taking part in the show have broken the basic rules of the show.. Find out for more..
Zee’s Rock and Roll Family, the very unique dance reality show showcasing the talents of three generations of a family has now faced its first hurdle, just weeks after being on air! 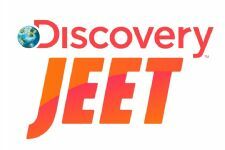 The buzz around is that the two families participating in the show, the Kapoor family from Jaipur and the Ubale family have defied all rules of the show and the channel is very annoyed with them. Well, the cat is surely out of the bag now, as one of the members of the Kapoor family who claimed to be the son, is not even their blood-relative. In the case of Ubale’s, the family’s grandmother who has been loved by all turns out to be Ubale’s sister!! The channel and the show caught in the midst of these misquoted identities calls for a fair deal now, and going by the format of the show, the channel is contemplating packing off these families now. Well, how is the entire matter being handled now? “We have sent our investigating team to get more facts on this story. 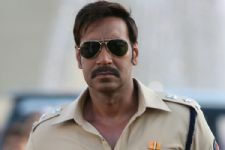 Though the families have pleaded that their real intention was to take part in the show and not to cheat them, Ajay Devgan, one of the judges on the show, got really wild with the turn of events”, confirms Satish. It is heard that when the fact opened up, Ajay got very livid and demanded that these families be sent home, as they cannot be allowed to break rules. Satish adds on, “We are indeed in a state of shock about all that happened. 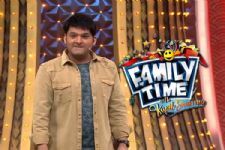 Even though investigations are going on, I guess the matter has finally been left to the viewers to decide whether the families should be allowed on the show or not”. A very unhappy state of affairs this, when we think that the show has its concept etched very clearly!! 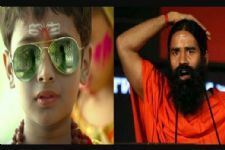 Bollywood film, 'Singham' to be ADAPTED on TV in the form of..
if they can prove that he is an adopted son...ie. legal documents..then that is fine. but if there are no such legal documents in place then they have indeed cheated the show and audience. Adopted children are the same as biological children with the exception that there is no shared DNA. 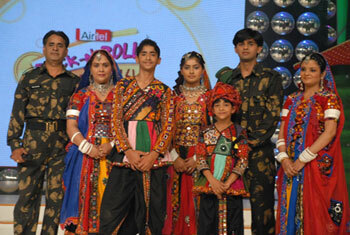 Boringthis show is really boring,I can't wait till Saregamapa is on agian. If they didn't have a grandmother or a son they didn't have to get a person to play for them. New shows are there for them to participate, and not cheat everyone like this. Disgusting. This is not fare!! they should be eliminated!! Man this is awesome... i would love to see kajol's expressions on this..
controversies finally! and now the trps shoot up! zee must be smiling. A cuter and animated way.. This 'Peshwa Baijrao' actress BAGS a FILM! Guess who made a COMEBACK on 'Taarak Mehta Ka Ooltah Chasmah'..?